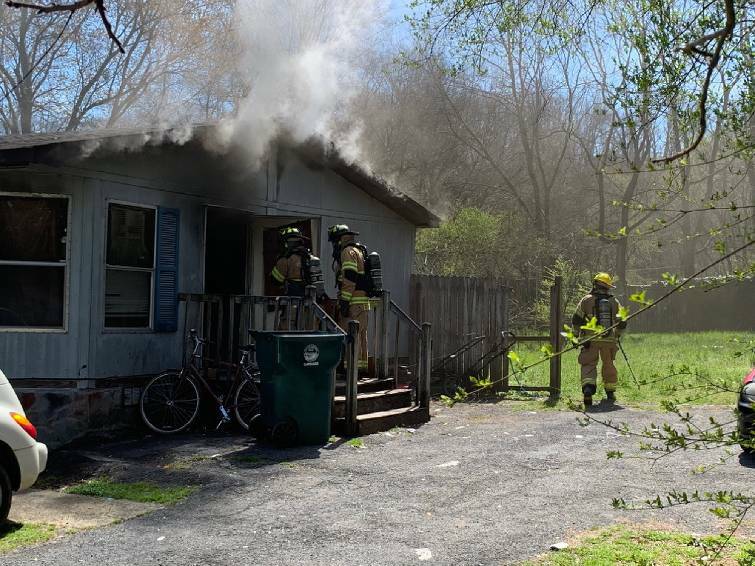 Chattanooga firefighters work the scene of a trailer home fire on the 2600 block of Boyce Street on Tuesday, March 19, 2019. 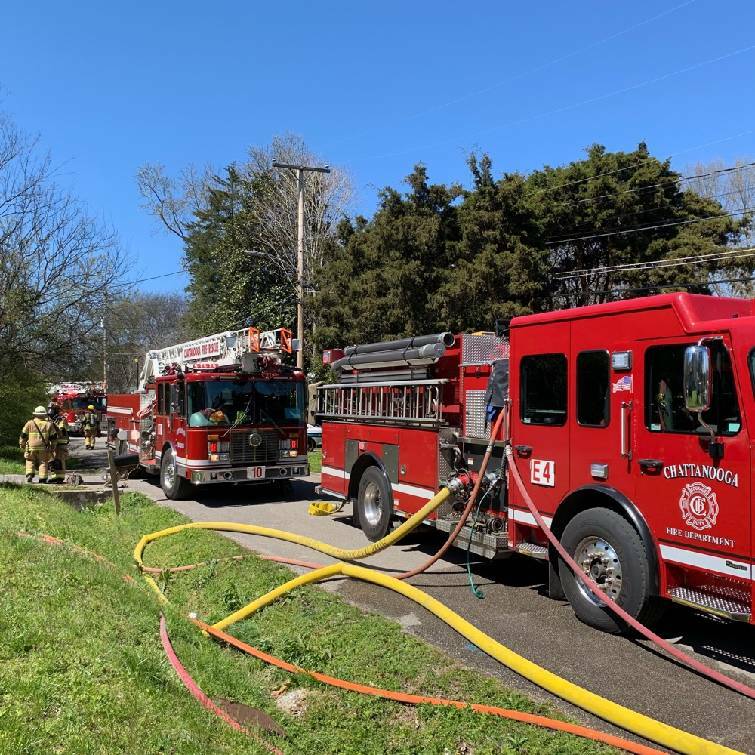 The incident happened around 1 p.m. in the 2600 block of Boyce Street, according to a news release from the Chattanooga Fire Department. Chattanooga police officers who arrived at the first were told by neighbors that someone was possibly still inside the burning structure, the release states. They attempted to conduct their own search but were forced out by heat and smoke. When fire crews arrived, they worked to control the fire and search the home. 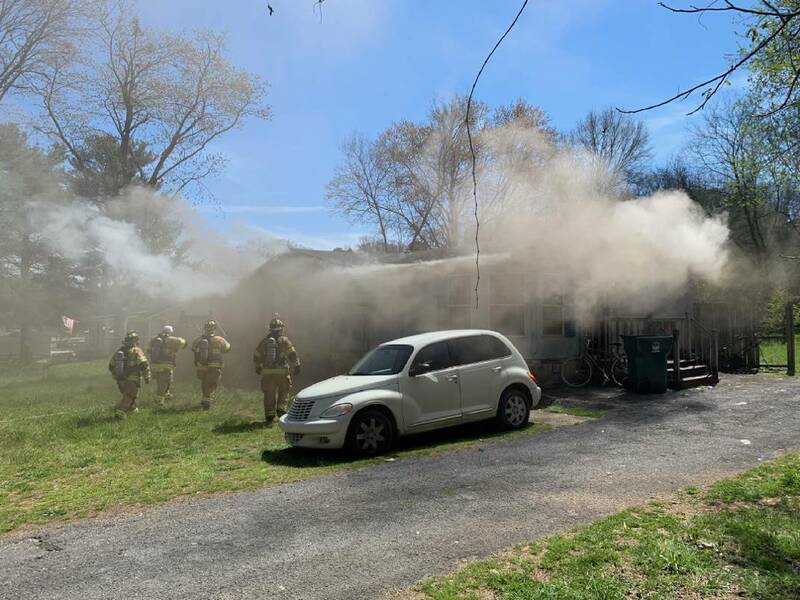 No one was found inside, but the fire department said two adults and three children lived in the home. No injuries were reported. The cause of the fire remains undetermined and under investigation.